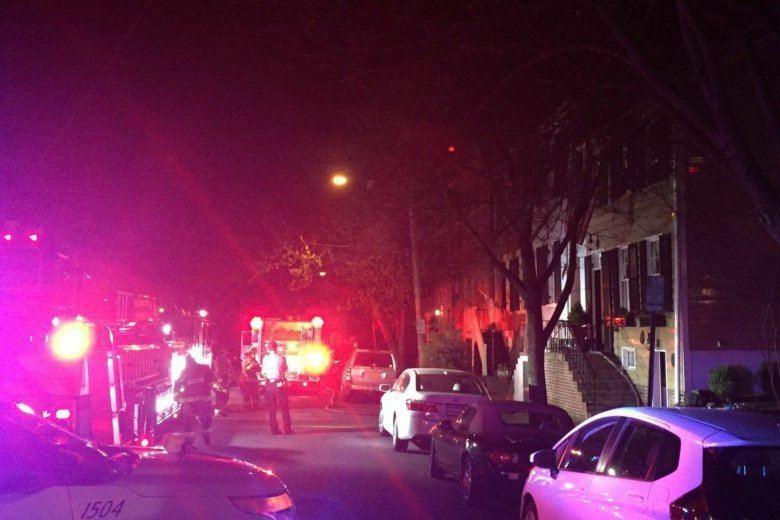 An early morning fire caused by an electrical cord coming in contact with a bed left an Alexandria, Virginia, woman dead and sent her husband to the hospital in critical condition. Officials say they were in their 70s. The fire was spotted around 12:30 a.m. by someone who saw smoke coming out of the two-story townhouse along the 300 block of South Pitt Street, just south of Duke Street. Fire officials said they saw smoke coming from the second floor. Firefighters started to tackle the fire from within the home, which led to “the discovery of one victim in the room of origin and then the rescue of a second occupant,” according to Alexandria Chief Deputy Fire Marshal Andrea Buchanan. Responders were able to rescue the man from the room; he was taken to the hospital in critical condition due to smoke inhalation. A dog and a cat were also rescued from the blaze. The fire caused an estimated $150,000 in damages. Below is a map near the area of the fire. WTOP’s John Domen reported from Alexandria, Virginia.